Vegan activists have published the contact information of thousands of dairy farmers across England and Wales. Activists part of Project Calf are encouraging people to ‘document, protest and expose’ the actions of the 9,000 farmers whose addresses are listed online. 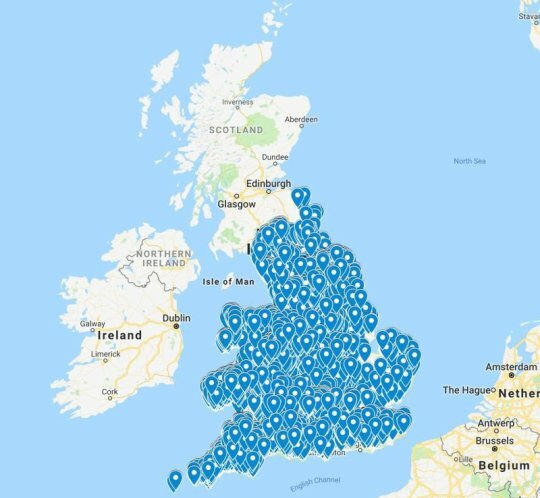 Those behind the campaign have published an interactive map on their website, which lists not only the addresses of dairy farmers but their telephone numbers too. 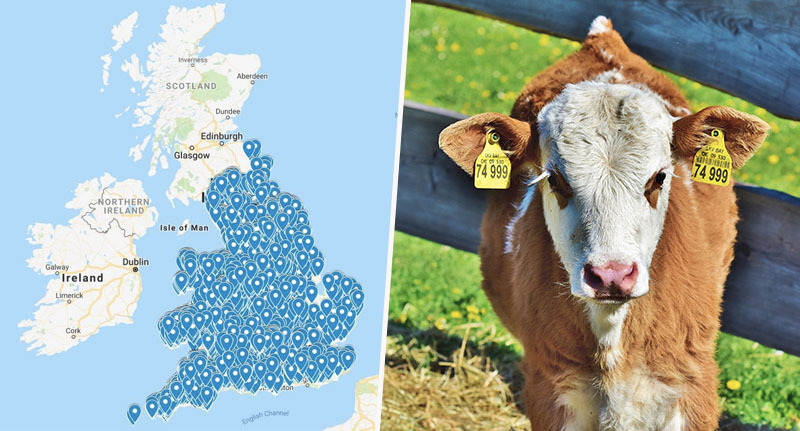 As reported by Metro, the map was made from the Food Standards Agency list of registered dairy farms, conducted in June 2018. The activists’ aim is to allow people to find dairy farms easily, so they can then document everything that happens there and make it public knowledge. There are lots of options when it comes to choosing which equipment you want to use- hidden cameras, camcorders, regular cameras or even a drone. Or just use your phone. All footage will have an enormous and vital impact when documenting the horrific reality behind dairy.Our aim is to expose dairy farming practices, gather evidence and present it to the public. It doesn’t stop there though; as well as asking their followers to document what’s going on at dairy farms, Project Calf is also encouraging people to protest their actions too. Not only that, but people are urged to share their findings with the public – either via social media or street demos to expose what they have found. 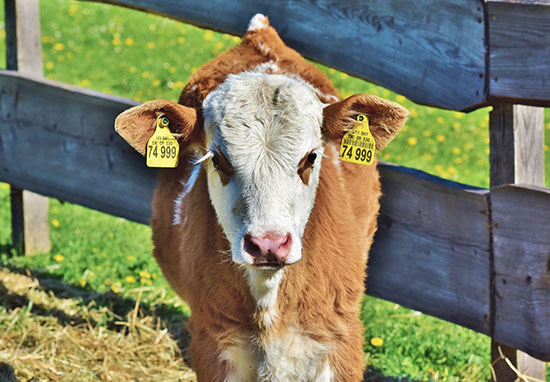 You may wish to tailor your project around gathering footage to share on your social media accounts or website to raise awareness of the plight of the cows being kept there. Farmers listed on the map have spoken out amid fears that they will now be a ‘target’ for activists who don’t have all the facts. Sally Reedman’s farm is listed and states she has ‘nothing to hide’, even offering to give visitors a guided tour to show them what really goes on. It’s absolutely disgusting, the website is full of incorrect facts too. Our oldest cow is 18! We are on the map and b****y locals in the village are sharing the Facebook page and the website into local spotted and selling sites. Cheers for that, make us a target. We’ve decided if any come round they can have a welcomed guided tour. Nothing to hide. We don’t kill bull calves or sell them to market (they go to a local farmer who keeps them as fat beast). Our cows are all of a good age, they don’t go into calf until they are two and have 18 months out to grass before joining the milking herd. Our girls come to us for cuddles and are all happy and well. Everyone is welcome to their opinion, we’d just like them to have true accurate facts before they make them. According to Compassion in World Farming, dairy cows can only produce high milk yields for approximately three years, after which they are slaughtered and used for meat. It is this treatment which Project Calf is protesting, who advise their followers that everyone would go vegan if they could see exactly what happens at dairy farms. Regardless of your thoughts on the organisation’s tactics, it’s got people talking – which, I assume, was the entire point.